Houses & Homes VA: The Top 5 Household Appliance Problems and How to Fix Them Easily! The Top 5 Household Appliance Problems and How to Fix Them Easily! These are 5 of the most common problems that homeowners experience around the house. The truth is that many service calls that professionals go to can be avoided if the homeowner knew what to check before calling for help. More importantly, an unnecessary service fee can be avoided and that’s just money in the bank! Refrigerator not cooling as it should or not at all. Guess what the #1 cause of this problem is? Pet hair! If you have a cat or dog there’s an excellent chance that the problem is nothing more than hair clogging up the coils. They are located either on the rear of the refrigerator or underneath behind the grille. Enough hair will cause the refrigerator to actually stop running altogether. This is a simple fix that you can do in minutes and it requires nothing more than a coil cleaning brush (available at any home improvement center) and a vacuum cleaner. Use the brush to reach the coils and vacuum up the hair and dust. That will almost always fix the problem and will also save you considerable money on your electric bill. If the internal overload switch was tripped and the unit is not working at all you may need to wait an hour or 2 for the fridge to cool off and reset itself automatically. If this is not the case then it’s time to make that call. Washing machine sounds like a jet taking off during the spin cycle. I’ve had this problem before and it is nerve racking! The solution is so simple you won’t believe it. All you need to do is to adjust the height of the front legs under the machine. The noise that you hear is caused by the machine rocking when the spin cycle is being used because it is not level. Adjust the legs and your problem is solved. Trash disposal not working. Much like the refrigerator problem above a trash disposal unit will “click off” if it becomes overheated. Most times if you allow the unit to cool off first you can then just push the “reset” button located on the unit and it will begin working again. If that doesn’t fix the problem the most likely culprit is that something is stuck inside of the unit and is preventing it from turning properly. Most disposals allow you to manually turn the unit using the proper sized Allen wrench on the bottom of the unit. Some even have just an ordinary bolt protruding underneath that you can use a wrench to twist. These 2 fixes will solve this very common problem 9 out of 10 times. Gas dryer not getting hot. This is one I think we’ve all experienced at least once in our lives. The number 1 cause is that it is not set properly. Most dryers allow “fluff air” or “no heat” drying as an option and this is often the problem. The second leading cause is a clogged lint filter. Even though you may clean the filter regularly it may still have very small particles on it that restrict air flow. To test the theory simply remove the filter and run water through it at the sink. 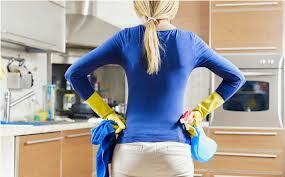 If it holds water than it needs a good cleaning with a mild detergent and scrub brush. Also, don’t forget to check the outside vent that is connected to your gas dryer. That also needs to be clear of lint and obstructions and is a common cause of dryers not drying the clothes completely. This is the one that everybody forgets! Gas stove burner(s) won’t light. This will happen when liquid is spilled on the stove and puts out the pilot light(s) under the stove top. Each burner has its own igniter and if it gets wet the burner can’t light. Simply remove the top of the stove (this usually just “pops” up) and you’ll be able to see which pilot lights are lit and which are not. You’ll probably find that a good cleaning is in order anyway and afterwards just make sure that everything is dry before relighting the pilot light(s) with a match or lighter.